Northern Irish golf prodigy Rory McIlroy became the youngest to win two majors since 1980 (Seve Ballesteros) and joined Jack Nicklaus and fellow Upper Deck spokesperson Tiger Woods as the only players to win six PGA tournaments by the age of 23. 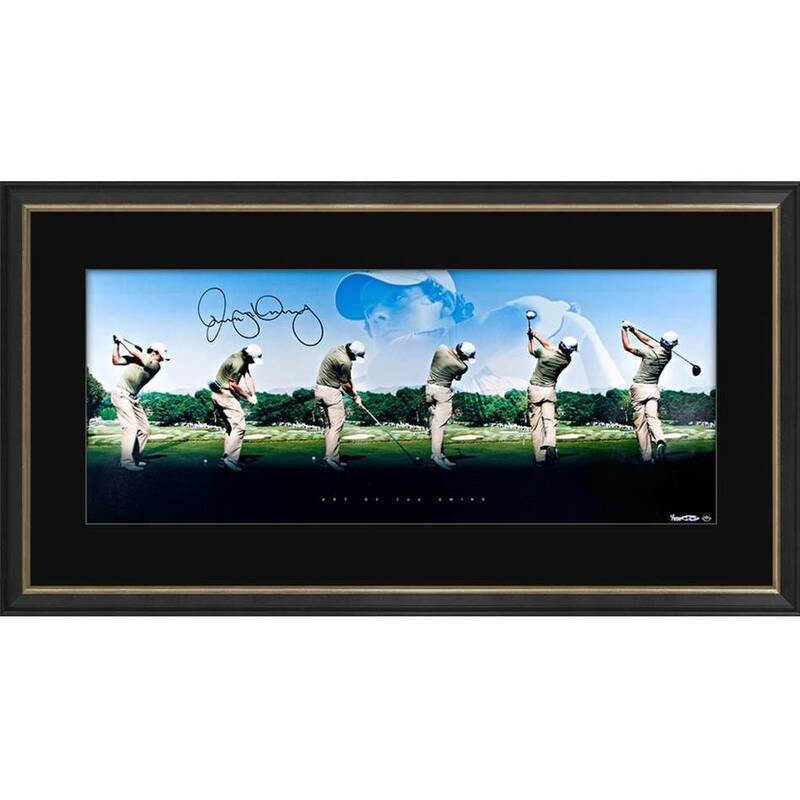 "Art of the Swing" is a Upper Deck Authenticated designed 36x15 inch panoramic image of Rory McIlroy’s entire golf swing. Images such as these are rare as taking pictures of players during their swing is largely prohibited at PGA Tour events. Unique six image sequence captures the essence of what many consider the sweetest swing in golf. McIlroy inked his autograph in gold paint pen. This picture is a limited-edition piece of 250 offered worldwide. Rory's autograph has been authenticated by virtue of Upper Deck Authenticated's Five-Step Process.